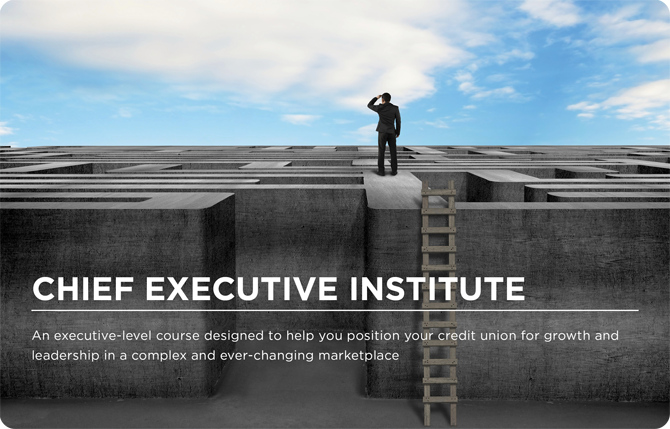 The Chief Executive Institute is an executive-level course designed to help you position your credit union for growth and leadership in a complex and ever-changing marketplace. This intensive curriculum meets for five classroom sessions plus two one-on-one coaching and mentoring sessions. Each classroom session meets for two days with a networking dinner in the evening. Keep your eye on this page for the 2020 CEI information. I just wanted to thank you for the opportunity to attend the CEI and for the generous scholarship. As I reflected while working on my project and presentation, I realized the many things I gained from the last eight months. Thank you again for all the time and effort you put into our credit union mission! The past few years have seen a fundamental shift in financial services. Our movement has entered a new, uncharted era that brings the threat of disruption from unexpected corners. A new dynamic of leadership is needed to meet the revolutionary challenges of today and the future. 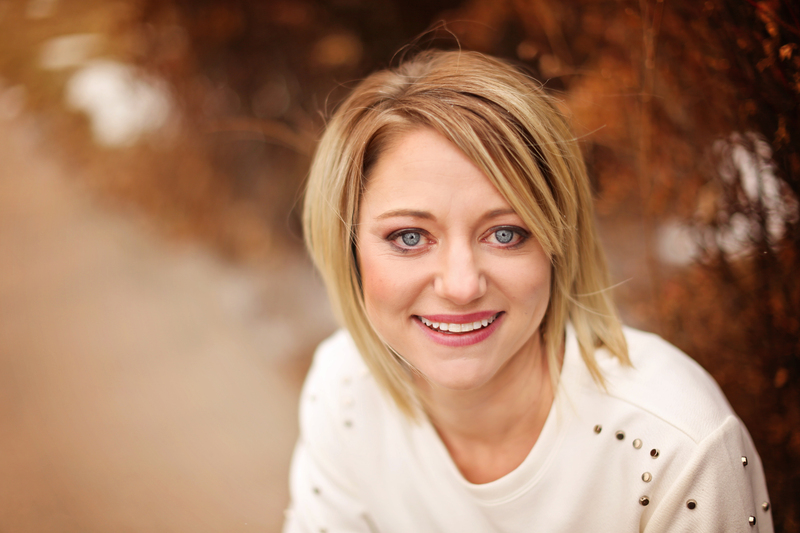 Do you have a plan to grow your credit union? Do you know how you will get there? Through the Chief Executive Institute, you will discover how to leverage the Baldrige Excellence Framework to identify and improve in areas that are critical to your credit unions success. This framework is not a model on how to run your credit union, it’s a tool box of systems and processes to effectively and efficiently meet your credit union’s mission and achieve your vision. 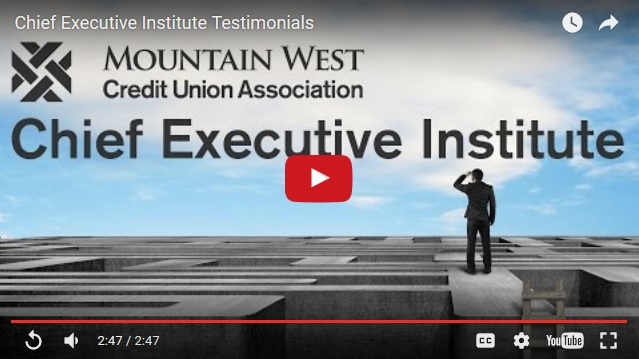 The Chief Executive Institute is not about learning leadership skills, it’s about becoming an agent of change and transforming the way your credit union operates and serves its members. It’s about growth with a focus on the mission, vision, and values that make your credit union unique. Start transforming your credit union by today! The Chief Executive Institute will develop your ability to capably and effectively lead your credit union towards achieving strategic goals. Through this advanced program, you will learn how to leverage the Baldrige Excellence Framework to transform your credit union into a dynamic, member-centric organization with greater focus on your credit union’s mission, vision, and values. Learn how to apply the Baldrige Excellence Framework to credit union decision making and problem solving. Address the challenges and consequences of change while operating as a strategic leader. Cultivate a values-based culture in your credit union. Broaden your perspective beyond your credit union and the financial services industry for cross-sector insights that improve your credit union. Clearly evaluate where your credit union is now and where you need to be to achieve long-term success. Develop a tool set to examine and improve each dimension of your credit union’s performance while keeping the whole organization in mind. Take an organization-wide perspective that optimizes the entire credit union rather than focusing on pockets of excellence. Understand and exemplify essential leadership values, demonstrate core senior leadership skills, confidently perform the core senior leadership tasks. Exemplify a transformational leadership style. Understand how leadership is a system within the larger framework of the organization. Understand the strategic planning process and how to leverage it for innovation and change. Form and asses key strategic objectives connected to business objectives. Develop strategies to better listen to current and potential customers. Determine customer satisfaction and engagement and how it compares to competitors. Conduct performance measurement analysis and review to improve best practices, future performance, and innovation. Learn tactics to manage knowledge, information, and technology. Assess the current workforce environment and climate for capability, capacity, benefits, and policies. Engage your workforce and develop leaders from within. 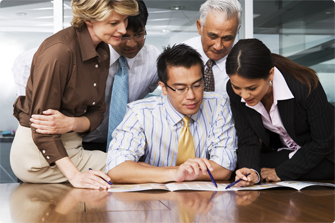 Review work processes and accurately evaluate effectiveness in key operational areas. Develop and assess results that focus on product, process, customers, workforce, leadership, governance, financial performance, and the marketplace. Conduct a strategic assessment of the operating environment, relationships, and strategic situation. 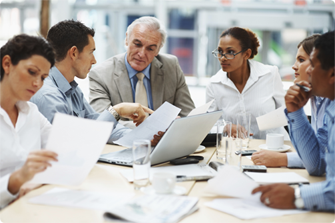 Understand the elements of change management and change leadership. Respond effectively and efficiently to change.